The hallway below, starts in the entryway and leads to the dining room and living room which has a huge fireplace. The tile in the hallway is imported from Tuscany, Italy and made of Travertine. The high ceilings pictured, are not only in the hallway, but also in the living and dining room. 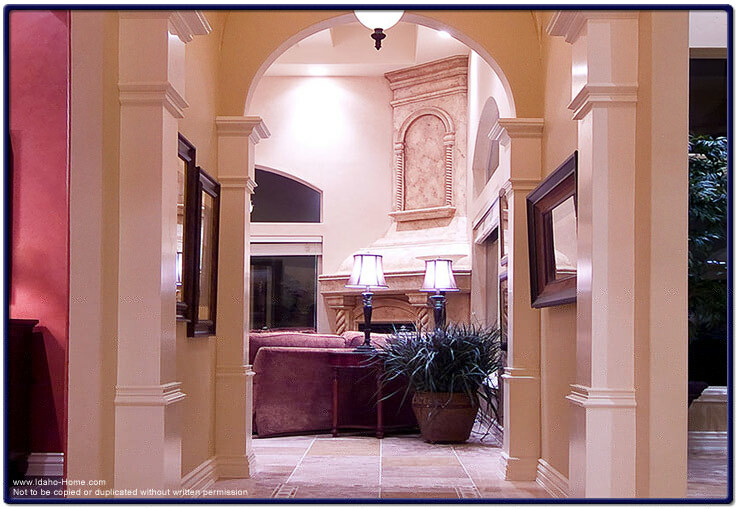 This home was built, and and the hallway was designed by Corey Schoenauer of One World Builders.